Facing significant debt and struggling to get by financially month to month is extremely stressful. The good news is, however, that borrowers have options for getting themselves out of these difficult situations, with one of the most effective options for achieving a financial fresh start being filing for bankruptcy. For answers to some commonly asked questions about bankruptcy, check out these bankruptcy FAQs. For more info and advice about your case, contact us. Here and in a few upcoming parts of this blog, we will answer some frequently asked questions about bankruptcy. If you have additional questions not answered in this blog or are ready to receive some professional advice regarding your best debt relief options, contact Denver Bankruptcy Lawyer Arthur Lindquist-Kleissler. Q – What are the benefits of filing for bankruptcy? A – In general, filing for bankruptcy can help people get some significant debt discharged. In other words, by filing for bankruptcy, debt like credit card debt, mortgage debt, car loan debt, etc. can be forgiven, allowing people to achieve a financial fresh start. Additionally, initiating a bankruptcy case can have some immediate benefits like, for example, stopping creditors from harassing you and stopping them from taking legal action against you (like, for instance, trying to repossess your assets or garnish your wages). Q – How do I know which type of bankruptcy I should file for? Whether you have filed for bankruptcy in the past. If you are wondering what your best option is, call an attorney to discuss your case. Q – Will I lose my home or car if I file for bankruptcy? A – Not necessarily. While filing for bankruptcy can immediately stop creditors from foreclosing on your home and/or repossessing your vehicle (due to the automatic stay that goes into effect), bankruptcy exemptions may be effective at protecting these assets in the long term. Whether or not your home and car qualify for exemption will primarily depend on the value of these assets (as there are specific limits to the value of the assets that can be claimed under bankruptcy exemptions). 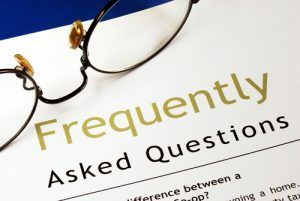 Be sure to look for the two upcoming parts of this blog for some more answers to bankruptcy FAQs. If you are facing a serious financial crisis, Denver Bankruptcy Lawyer Arthur Lindquist-Kleissler can help you determine your best options for resolving your financial issues. For a free 30-minute consult, call (303) 691-9774, or email us using the form on this page. You will pay nothing up front to obtain trusted, professional advice regarding your case and your options.